It's been such an honor to share with you this past year. I couldn't do what I do without you (and I really, really love what I do, so thank you). 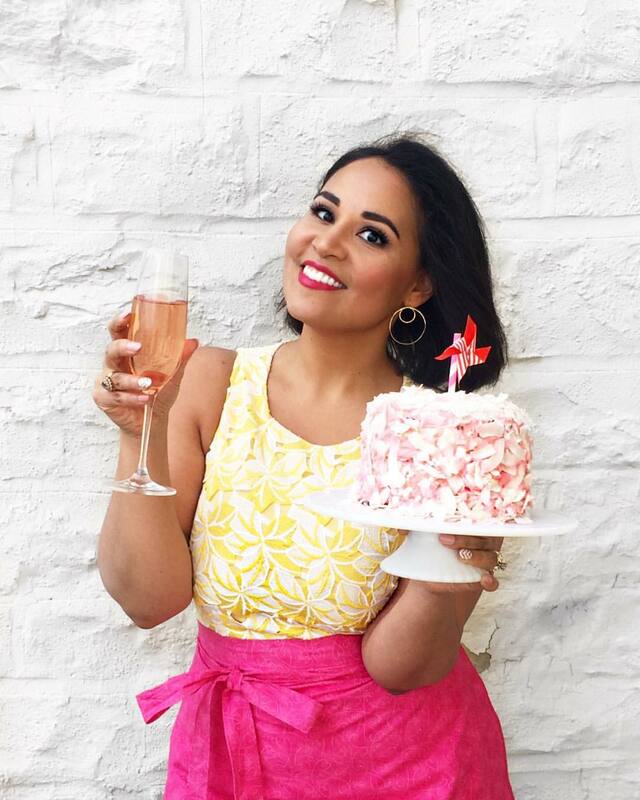 I've never done a year-end wrap-up before, but I got curious and decided to see which recipes ended up being the biggest hits with you (my readers) over the past year. 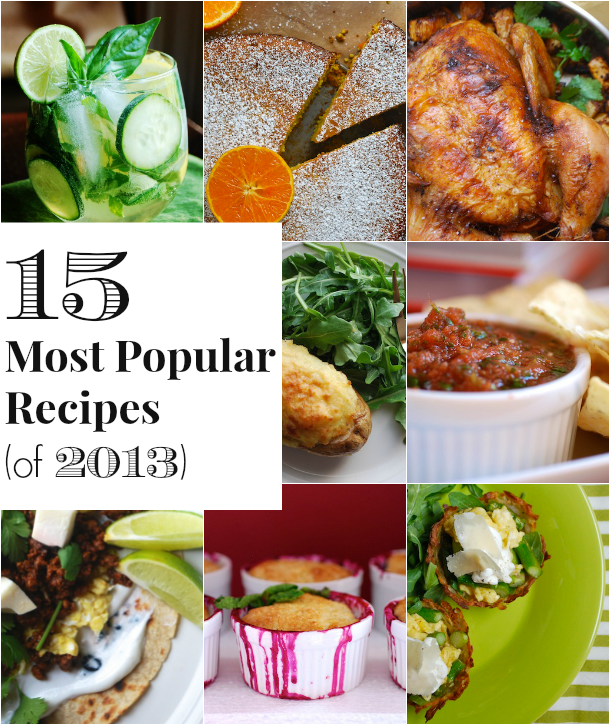 The below are the recipes from 2013 that came out on top with the most visits, pins, comments, and shares. Are any of your favorites on the list? Thank you so much for your support and inspiration over the past year. I look forward to an amazing 2014! You guys LOVED this recipe, making it the top one of 2013, and I totally agree. I made this one SO many times this past summer, both at home and when I was cooking for retreat groups up in Vermont. It's spicy, salty, savory, and totally addictive. And it only takes a couple minutes from start to finish! Definitely a great recipe to learn and add to your repertoire! Click to get the recipe. This boozy, slushy, peachy twist on the classic sangria was a big hit this year. Made with white wine, frozen peaches, it's a like a grown-up Slurpee, and it's perfect for cooling down during hot summer days. Pin it and save it for when the days heat up again. It's a keeper! Click to get the recipe. This low-carb version of a Nigella Lawson recipe is one of my favorites. Light, spongy, moist, and richly aromatic it's a wonderful winter cake. This version is made with a blend of alternative sweeteners, but you can also easily make it with sugar for a non low-carb version. Either way, it's fantastic. Click to get the recipe. An easy, homemade version of the popular spread made with simple ingredients--just hazelnuts, cocoa, good oil, and sugar. Totally vegan (and it really tastes like the stuff in the jar!). Click to get the recipe. Italian rainbow cookies are my absolute FAVORITE. This is a fun little twist on the original made with white chocolate, and lime and raspberry filling. (And absolutely no need to wait until Spring!) Click to get the recipe. This is my go-to roast chicken recipe. It's spicy, crispy, and deliciously tender. Perfect for a weekend dinner with friends or family (the leftovers make great lunches). Click to get the recipe. I grew up eating this sweet and comforting cornmeal porridge, and loved being able to share it with you here. It's a simple, cozy breakfast that's perfect for those days when you just really need a hug in a bowl. Click to get the recipe. Shredded potatoes are baked until crispy to make these little bowls that you can then fill with scrambled eggs and sauteed veggies. I love this one for brunch--it's so easy to customize. Click to get the recipe. These easy tortillas are made with a mix of flour and cornmeal for tortillas that are both soft and flavorful. It's a no-fuss recipe made with ingredients you probably already have in your pantry--perfect for those last-minute "what to make for dinner" emergencies! Click to get the recipe. Here's a recipe for your back pocket. Just a few ingredients and a bit of time in the oven, and you end up with a super versatile mushroom sauce that can be used over grilled meats, with pasta, as a side, or even as a filling for an easy appetizer. A total lifesaver of a recipe! Click to get the recipe. I made this one for my St. Patrick's Day party earlier this year, and they were such a fun dish to serve (and eat!). They're little baked potatoes stuffed with a savory meat filling and topped with creamy and cheesy mashed potatoes. Click to get the recipe. I love sangria, but am not usually a fan of all the added sugars and fruit juices. 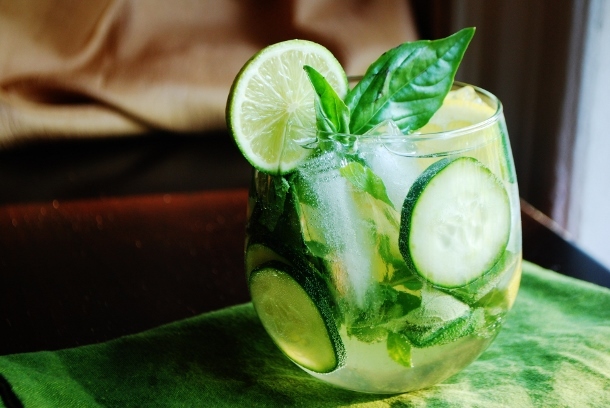 This is my recipe for a savory sangria, made with a crisp white wine, sliced cucumbers, fresh herbs and lime juice. It's tart, refreshing, and perfect for hot summer days. Click to get the recipe. 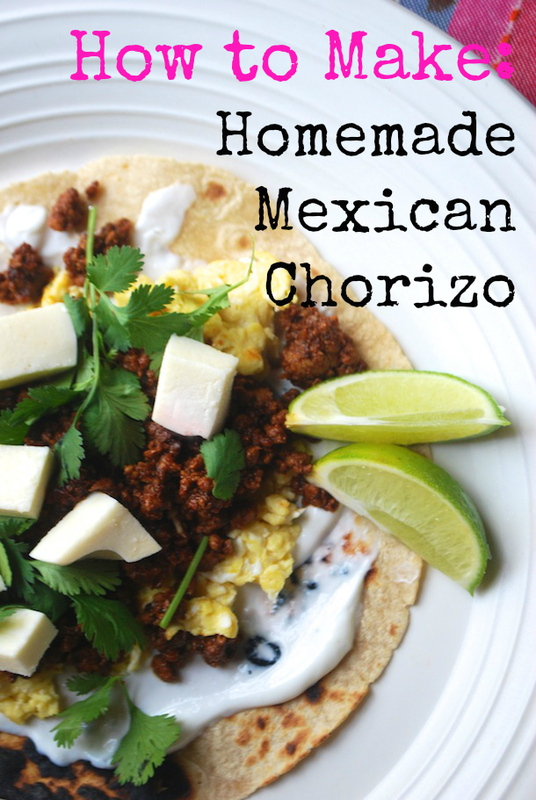 Chorizo is a staple in my grocery bag and fridge--it's rare that I don't have it "in stock." This past summer I decided to try making my own from scratch, and I was super happy with the results. It's no trickier than mixing up a batch of meatballs, but the results are fantastic and can be used in a number of recipes. Click to get the recipe. I prepared these easy little mini berry cobblers for a summer dessert & cocktails party, and they were definitely a hit. These are easy to customize with your favorite mix of berries or really any kind of fruit. And the biscuit like cobbler top is equally easy to prepare--a perfect last-minute dessert. Click to get the recipe. 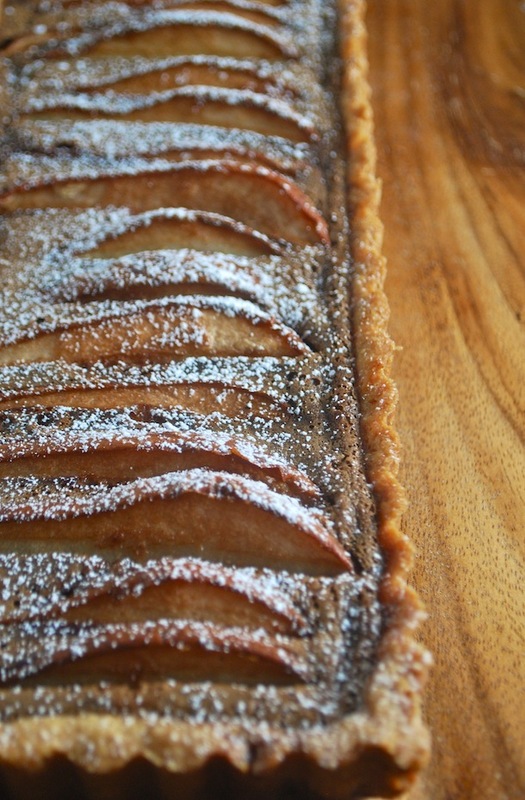 This is a tart that I made for a blogger dessert bake-off I entered last winter. It was one of those that I kind of invented as I went and it ended up being a success--I took home second place! The almond-flavored crust is made with shortbread cookies and the filling is made with sliced poached pears and a rich chocolate custard. A really lovely celebration dessert that's ideal for the cooler months. Click to get the recipe.